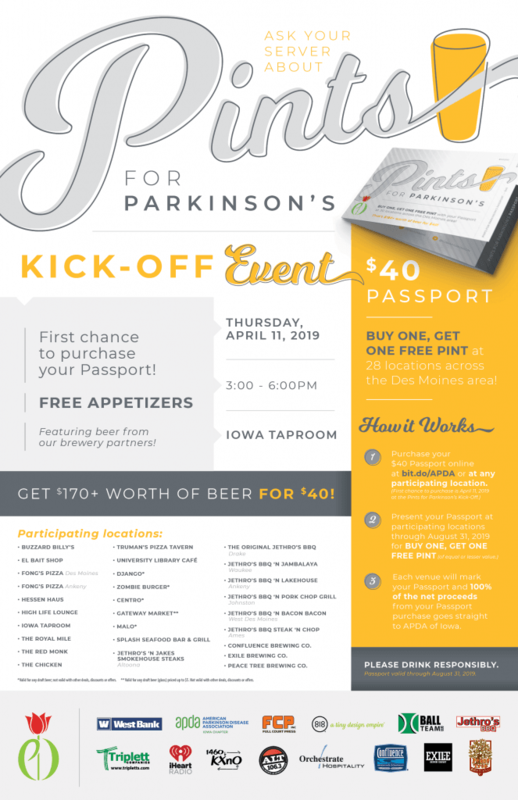 To purchase your Pints for Parkinson’s Passport click here, or visit one of the 28 locations across the metro. Sales begin, April 11th and they are valid through August 31, 2019. No registration is required to attend the Kick Off Party on World Parkinson’s Day, April 11th.